Today’s post is about the best Desktop wallets available for storing your Bitcoins. 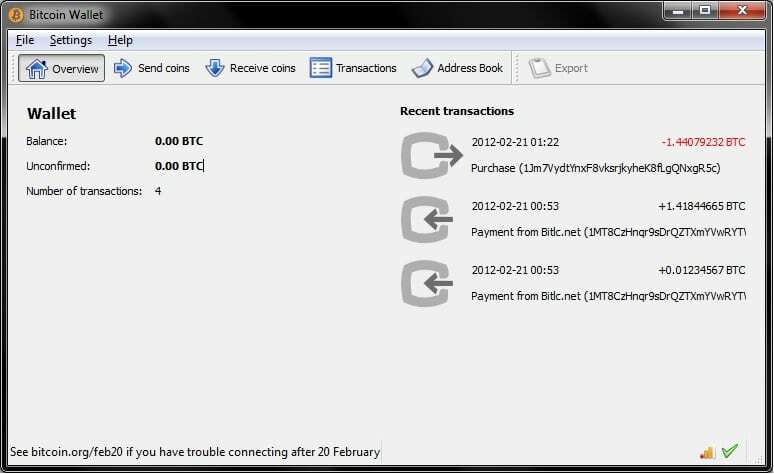 Desktop wallets are wallets that store the private key for your Bitcoins on your hard drive. By nature, desktop wallets are more secure than mobile wallets (since they’re harder to steal). Of course desktop wallets are still considered “hot wallets”, since they are connected to the Internet. This makes them inherently insecure. However, for small amounts of Bitcoin or altcoin they are a good solution. For large amounts of Bitcoin ALWAYS use cold storage wallets like a paper wallet or a hardware wallet. Today I’m going to review 4 different desktop wallets that work on all 3 major operating systems – Mac OS, Linux and Windows. It took me a while to start using Electrum, but once I did, I never looked back. I’ll start with the downside – Electrum is ugly. The interface looks like a 90’s version of Windows. Also, if you’re completely new to Bitcoin I have the feeling you’ll get lost pretty quickly due to the unfriendly interface. However, once you get over the interface issues, Electrum is one of the most robust, effective and secure desktop wallets out there. Also it’s open source, meaning many people have taken part in reviewing and composing the code. This reduces the chance of malicious code inside the software to practically zero. In times when the Bitcoin network is “crowded” and transaction fees can skyrocket, Electrum is one of the few wallets that allows you to replace the fee you’ve set to an already broadcasted transaction. This feature is very handy when you can’t get your transaction to confirm. Additional features include address tagging, fee adjustments, encrypting your wallet and signing / verifying messages (this is an advanced feature). Bottom line, this is an excellent wallet. If you understand Bitcoin good enough to use it, go for it. 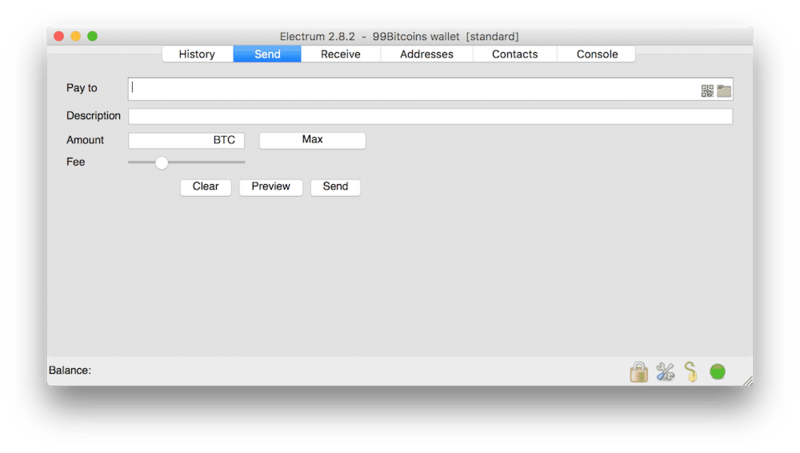 Electrum is available for Mac, Windows and Linux. If you’re just getting started with Bitcoin and you’re still trying to wrap your head around everything that’s going on, Exodus has got you covered. Exodus launched on July 2016 and since then has gained some serious momentum. Again, I’ll start with the downside – it’s not open source. This means that the developers can potentially insert malicious code into the software without you knowing about it. And of course, when it comes to money, having a closed source program can raise some concerns. However, since I suggest you use desktop wallets for small amounts of Bitcoin in any case (closed or open source), then this is not a big issue in my book. I never put an amount I’m not willing to risk in any hot wallet (desktop, mobile or web). 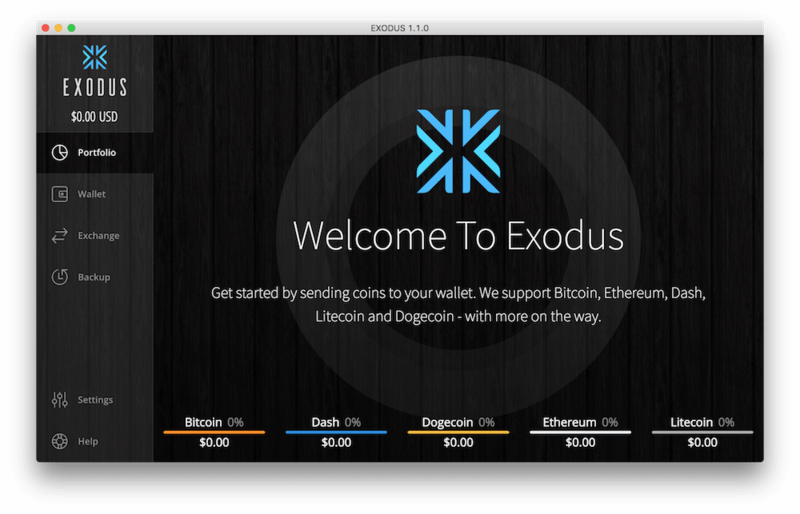 Exodus also allows you to hold a variety of altcoins such as Ethereum, Litecoin, Dash and more. The interface is super easy to understand and even total newbies will get the hang of it. If you find electrum to daunting, this is a great alternative. Exodus is available for Mac, Windows and Linux. Multibit has also been around for a long time. The wallet has a simple interface and allows you a variety of features such as fee control, signing messages and hardware wallet support. It’s not the prettiest of wallets but it definitely gets the job done and then some. Multibit also supports 40 different languages so if English is not your native tongue you can always change the interface. 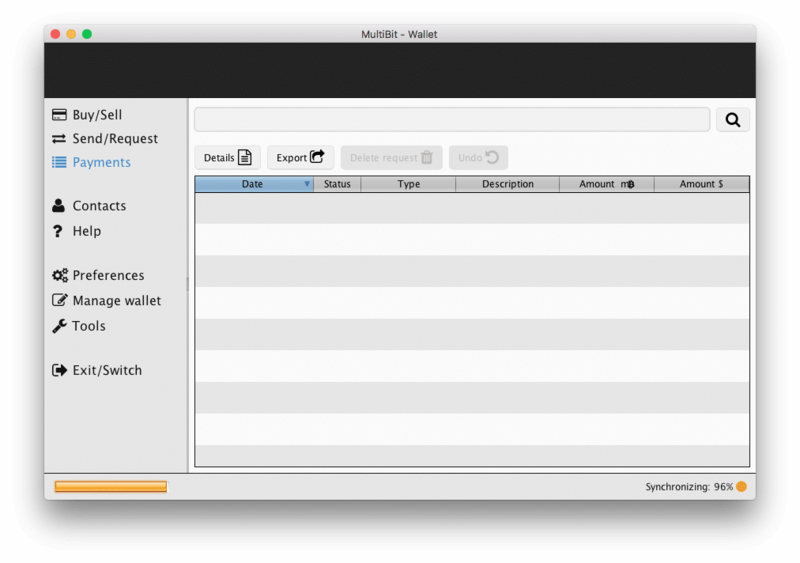 Multibit is open source and available for Mac, Window and Linux. Visit the Exodus Website Multibit Review coming soon! All of the wallets we’ve covered so far are known as SPV wallets or lite wallets. This means that they don’t have a full copy of the blockchain in order to verify transactions – they relay on other computers on the network to give them transaction information. Bitcoin Core is a full node Bitcoin wallet. This means that once you download the wallet you will also download the whole blockchain to your computer. This can get really messy as the blockchain’s size is over 130GB and can take some time to download. However, once the Blockchain is downloaded you can now independently verify transactions on the network and do not need to trust anyone else in the system. In all honesty, I don’t think it’s worth the hassle. You can gain some educational value by completing this process, but for day to day transactions and use of Bitcoin SPV wallets are just fine. Bitcoin Core is available for Mac, Windows and Linux. Visit the Exodus Website Bitcoin Core Review coming soon! 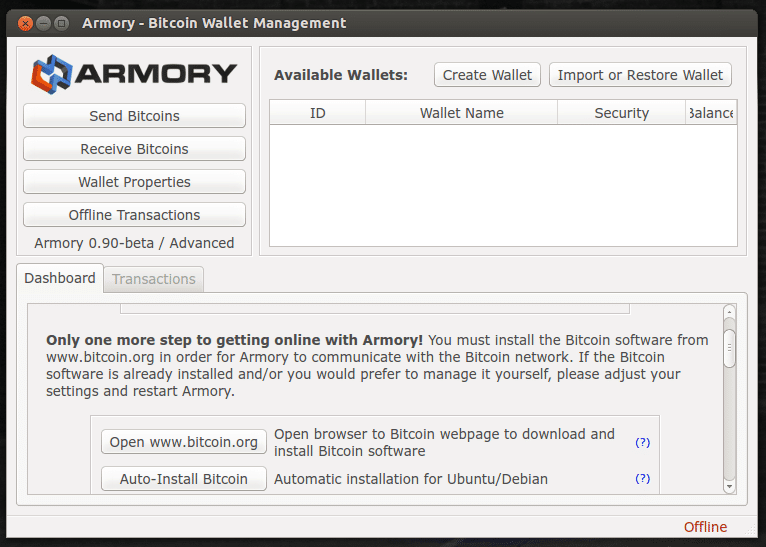 Armory is a well-known and trusted brand when it comes to Bitcoin security, though the wallet is usually best for more advanced users. If you are looking for a wallet that emphasizes safety and security, Armory should make the short list as the wallet features a variety of encryption and cold-storage options. Armory is among the most respected brands when it comes to Bitcoin security.Armory is available for Mac, Linux, Windows Ubuntu and RaspberriPi. Visit the Exodus Website Armory Review coming soon! Blogger and owner of 99Bitcoins. I’ve been dealing with Bitcoin since the beginning of 2013 and it taught me a lesson in finance that I couldn’t get anywhere else on the planet. I’m not a techie, I don’t understand “Hashes” and “Protocols”, I designed this website with people like myself in mind. My expertise is online marketing and I’ve dedicated a large portion of 99Bitcoins to Bitcoin marketing.